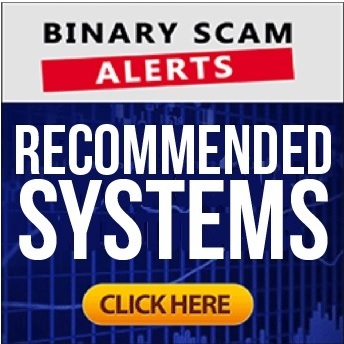 Binary Scam Alerts » Bitcoin Scam Reviews » BTC Robot Review, SCAM Bitcoin Robot Exposed Or Legit? Welcome to our BTC Robot (AKA Bitcoin Robot) official SCAM review and investigation. If you have searched the internet asking yourself if BTC robot is a blacklisted SCAM or legit, you will find all your answers here. It’s worth noting that this system has been around for around 2 years now, however it is currently being relaunched because Bitcoin has been performing exceptionally well recently as a traded commodity and this has generated much hype among affiliate marketers around BTC systems as well as other related get-rich-quick schemes. Taking everything into account we still have to go back to basics and start examining the complaints and feedback provided for us by our traders. At first glance all indications were pointing to the fact that we are dealing with a very sophisticated SCAM designed to steal your money. However, a closer look reveals diverging facts and why you should be concerned about this trading robot, but at the same time stay open-minded enough to at least look at this robot’s accuracy levels and performance. Forex and Bitcoin trading is considered to be high risk, and if you are not fully equipped with access to the best systems, then you are doomed to fail and will never succeed at making money. Keep reading to see if BTC robot is right for you, or if it’s a confirmed financial SCAM which should be BLACKLISTED. This is a custom-built automated trading engine which buys and sells bitcoins based on various algorithmic criteria or set of rules. How Does BTC Robot Work? 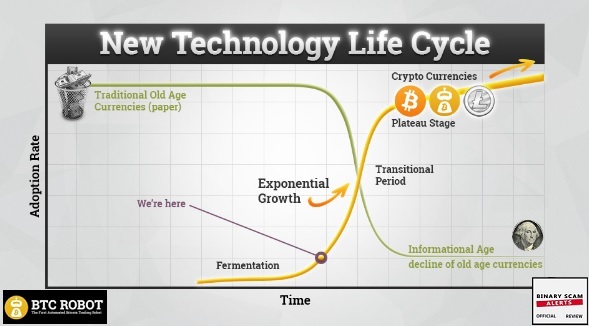 Bitcoin is a relatively new yet rapidly growing digital currency. A limited number of Bitcoin exchanges enable massive price fluctuations during market trading hours, according to the main sales page, the robot exploits these fluctuations and executes winning trades. Leverage Trading: As much as 1:200 to 1:400, is provided to you by the MT4 terminal brokers. In layman’s terms it means the exposure or risk levels are low and potential profits are high. The robot is analyzes the price movement in all Bitcoin exchanges during real time, and exploits the gaps by utilizing various trading strategies in order to take advantage of almost “bulletproof profit opportunities.” This is explained in the image below, however certain words such as bulletproof which send off alarm bells ringing, so in this context you should be made aware of the hyped up claims in the sales page. Can You Really Make Money With BTC Robot? The short answer is maybe, and it has nothing to do with the usual reasons of the system being rigged or set to take losing trades. In reality in order to compute price changes effectively as advertised you would need massive technological infrastructure to support the tasks, and I highly doubt the ability of these Russian programmers to get this kind of job done as the amount of investment required would be in the multi-million dollar area. Super computers as described are using by top Wall Street firms specializing in HFT or High Frequency Trading, and there’s no way you can gain entry to this kind of hardware and skilled brokers with a measly $250 initial deposit. However, the concept is intriguing and may actually work if designed properly. Well, this is what we call a borderline case because a lot of the classic tell signs are absent, so we have to be super careful before reaching a verdict. For example, the programmers are real people not some image bank photos that were stolen to provide fake testimonials. We don’t see inflated bank accounts, and the hype is there for sure but not as blatant and outrageous as we are accustomed to see. As mentioned previously, Bitcoin Robot is an automated trading solution which executes trades on auto-pilot without any form of human intervention. The software requires an initial download or installation, and registering with a broker such as BTC-e, FxChoice or Tallinex. You can start with an initial deposit of $100 in order to fund a real money trading account, which is actually a breath of fresh air compared to the usual $250 minimum requirement. Who is Egor Kotov and What is the Human Greed Methodology? Kotov is a system programmer and he explains that as Bitcoin grows it attracts new customers, and most of these are inexperienced traders. The Greed Methodology assumes that people will buy Bitcoin overpriced because of all the hype and news around it. As new buyers join, they are unwilling to wait until the prices drop (hence the greed element). And this is where the robot steps in and exploits the price movements in the market places. You have something called an API key which is basically your unique ID and allows you to set your permissions. You would have to choose a key number and secret password. Once those are set you can activate the robot. Well, as you can imagine the amount of hype around this cryptocurrency software is reaching new levels and so are the inquires and potential complaints. Our testing indicates that not everything is gold as described, but this is not surprising given our experience with these systems. What we did find unusual was the simplicity of trading in the members area AKA trading dashboard. Our initial investment of $500 generated a 10% return after mild growth patterns of 7 day periods. Granted, we didn’t turn into millionaires over night but at least we didn’t lose our money and even made a slight gain so for the time being we are excluding this software from the traditional scam category (i.e. Ponzi Scheme, Pyramid, MLM, or Financial). Fees – It’s Not Free! You have the Silver, Gold, and Platinum plans and these start at $19.99, and a one time fee of $399 for the top offer. Interestingly enough you can pay with bitcoin or credit cards and there is a 60 day money back guarantee, which is a definite plus considering all the fraudulent software that’s being offered these days. If you are a bit hesitant and not quite sure about how to proceed you are definitely not alone. Our researchers have compiled a short yet reputable list of consistent money making apps which are located in our recommended section. Feel free to check them out at any time. Review Summary and Conclusions – A Genuine Trading App? The BTC Robot was created by Steve and Mike, and these guys have been around for a long time. Technically speaking, it is considered by some to be a blacklisted scam, but we have not reached this conclusion since there is a 60 day return policy and we didn’t lose our money (quite the opposite is true). This indicates to us that these guys are not operating as crooks and actually let you have your money back if you are not satisfied with the performance of the Bitcoin Robot. Do we trust it enough in order to actually endorse it and have your risk your own money and invest? Well, this depends on the broker and in our case it was FX Choice IFSC (Licence number: IFSC/60/191/TS/17). This is a Belize license, which means it is not really regulated, but it seems the broker is reputable (relatively) so again the decision becomes very tricky. Overall we have seen much more clear-cut cases of scams but the high level of risk coupled with our experience would usually make us think twice, but since we generated profits and cashed out we are recommending it to our members. So, if you would like to try out this system we will not stop you, just advise you start out with the minimal investment amount and work your way up based on your success which was pretty immediate for us as we originally invested $500. As always, we invite you to join our Facebook Page and YouTube channel for further updates.